The Johannesburg Stock Exchange is the main stock market of South Africa, which offers investors a wide range of assets and securities from its primary and secondary markets. The index has performed extremely well in the past five years, which towed the South African equity market to a 19th place as the biggest stock exchange in the world in terms of market capitalization, with over 20 of the JSE listed companies is now worth more than 10 trillion and. Although the index has experienced major changes since 2005, with almost two-thirds of the shares of JSE listed companies now foreign-owned, it still remain as top destination for investors looking for financial market exposure. Even though a huge change hit the index, JSE listed companies have been performing well in the past five years especially in 2016 where we saw the fightback of some embattled key sectors. Anglo American emerged as the biggest winner among the JSE listed companies. The giant mining firm has recovered from a traumatizing loss in the past years when the mining sector lost its shine due to a very low demand for commodity. But due to a strong labor conditions and as global market experienced geopolitical tensions, investors have restored their confidence towards major commodities like the safe-haven gold. This helped Anglo American to regain thrice the strength of its shares prices, which pushed 65 rand per share to 195 rand per share from a 200% growth. As of 2017, the firm’s market capitalization has reached back the R250 billion-level. Glencore, also a commodity firm, took advantage to investors’ growing confidence with the precious metals and has seen its stock price jump by a mammoth 134% gain. The tech firm, Naspers, have regained 165% of its market value after breaching past the R1 trillion-mark. Among the biggest failures in the index was the mobile group MTN which has tasted a 36% decline in its market value. But most losers were firms related to United Kingdom. 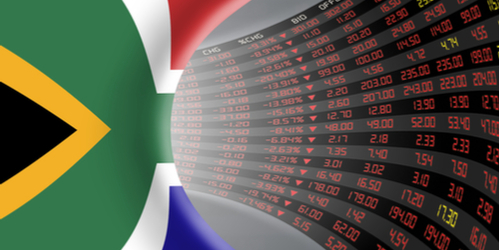 Due to uncertainties brought up by Brexit, Old Mutual, Investec, Steinhoff, and Brait, turned weaker as the weakening of British pound weighed in.